The Nissan Altima Coupe 2.5 S starts with the engine that gave it its name—a 175-hp 2.5-liter inline 4-cylinder with the buyer’s choice of a 6-speed manual or continuously variable transmission (CVT). It has a tilt/telescoping steering wheel, cruise control, trip computer and front bucket seats. The full power package includes mirrors, windows and door locks and is topped off with keyless access and push-button start. It also features a CD/MP3 player with digital media connection, outside temperature indicator, variable-intermittent wipers and a rear defogger. Safety is handled through traction and stability control, front-seat active head restraints, 4-wheel antilock brakes and 6 standard airbags. 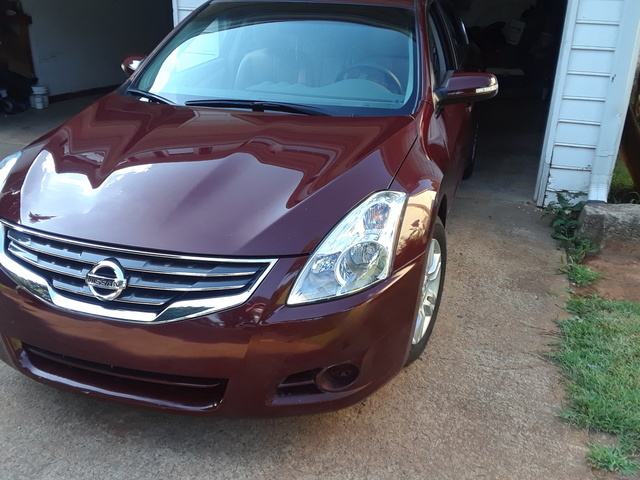 Moving up to V6 power, the 2012 Nissan Altima Coupe 3.5 SR offers you the choice of a continuously variable transmission (CVT) or 6-speed manual transmission for its 3.5-liter engine. You’ll get a host of features like an 8-way power driver's seat (with leather and heat if you go for the manual), a leather-wrapped steering wheel with controls for the CD/MP3 player, fog lights, automatic mirrors and 18-inch alloys with a sport suspension. The manual will further get you dual-zone automatic climate controls, a Bose stereo, Bluetooth, satellite radio and a rear-view camera. You’ll also get Xenon headlights with the manual. Safety is the same with 4-wheel antilock discs, 6 standard airbags, front-seat active head restraints and traction and stability control. With the 2012 Nissan Altima Coupe 2.5 SL, you’ll get heated front bucket seats with leather and power for the driver, some additional interior lights and even vents for your rear-seat passengers. An automatic rear-view with compass and a garage door opener serve to entice you even more, but otherwise things stay the same as in the base 2.5 S. You’ll only get the continuously variable transmission (CVT) here to pair with your 2.5-liter engine, but you’ll still get a tilt and telescoping steering wheel, a full power package with windows, mirrors and doors and keyless access and push-button start. Air conditioning and cruise control are standard, and the CD/MP3 player comes with a digital media player connection. The 17-inch alloys hide 4-wheel antilock disc brakes and 6 standard airbags pair with traction and stability control to keep you safe.